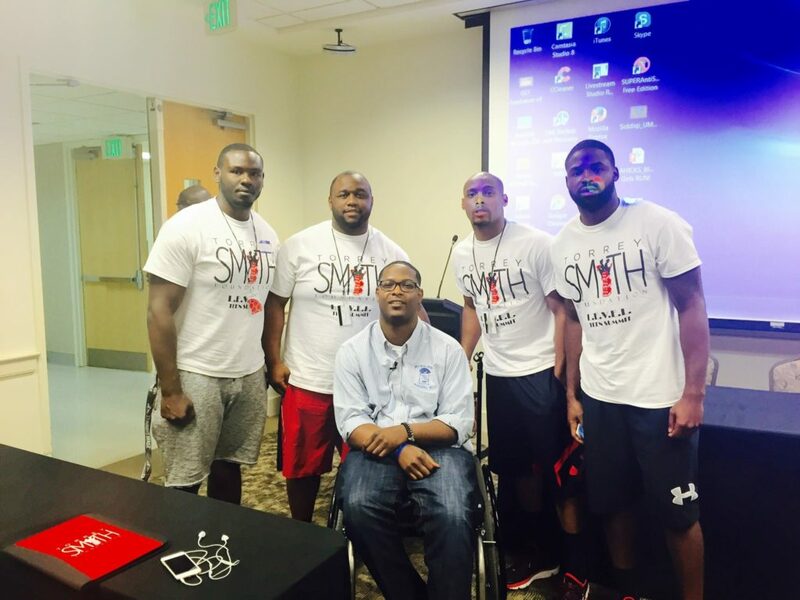 This summer, Tipper was invited by The Torrey Smith Family Fund to speak at the L.E.V.E.L. Teen Summit hosted by San Francisco 49er’s Wide Receiver Torrey Smith. The summit was hosted at Mr. Smith’s alma mater, The University of Maryland. Tipper spent an hour addressing the 40 young men who were selected from various schools across Baltimore City.